There are many of us who have a creative side but we don’t necessarily get the opportunity to display it on a regular basis. We may make some attempts at doing things around the home, regardless of whether it is scrapbooking, stamping or redecorating but in the end, we often find that we are lacking in time so we don’t get to display our talents as often as we would like. Sometimes, it is best if you just step back and do something simple. Rather than trying to get into the middle of a big project, you can do an awesome DIY project that will really be a lot of fun. In fact, we have just the opportunity for you and it is not only enjoyable, it will make your morning coffee a lot of fun again as well. 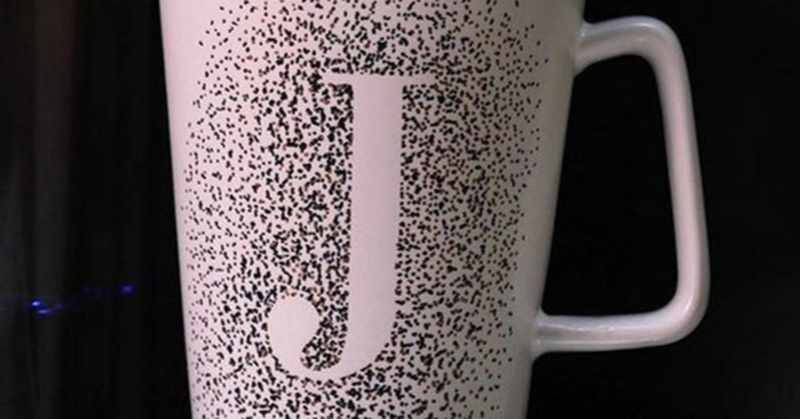 The project is known as a sharpie mug and it is an easy, fun project that can be done in your spare time. You don’t need to spend a lot of money on an expensive coffee mug and it doesn’t take a lot of tools in order to get the technique down just right. With just a few dollars and a coffee mug from the dollar store, you will be well on your way to creating a project that will keep you smiling all morning long. Of course, as is the case with many DIY projects, this isn’t something that you should keep to yourself. These sharpie mugs make a fantastic gift. If you’re wondering what you will do this summer with the children, you may have just found the perfect option. Although you will want to be careful when letting small children use a permanent marker, there is nothing quite like drinking out of a creation that was made special for you by your child. Using a Sharpie oil-based paint pen in a color of your choice, begin making dots around the edge of your sticker. Heavily concentrate your dots around the edge of the sticker. As you work your way outward, make your dots less concentrated. You can use 1 color or multiple colors (we used black and gold). Preheat your oven to 350 degrees. Once your oven is heated, set your mugs inside and let them “bake” for 30 minutes. After 30 minutes, turn off the oven and let the mugs and oven cool down.